Strategy Up encourages its business partners to use digital solutions in their daily operations. At times we team up with others startups and entrepreneurs to build a tailored digital solution to our clients. ​Our aim is to introduce technology to your business and help you improve your operational efficiency. We can help you close the gaps, identify the opportunities and find the best solution for your business. 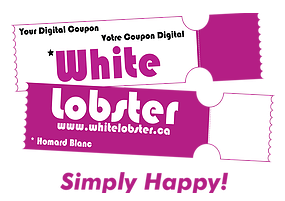 White Lobster is a Digital Marketing platform providing access to gamified digital coupons to promote your business and products. ​Let your customers experience their coupons in a way they never experienced it before. ​White Lobster team is taking all the burden off the shoulders of the business owner. We do the hard work and you just publish your Digital Coupon on your Website, your Mobile App, your email campaigns. 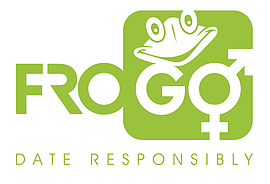 FROGO is a gamified revolutionary dating app which will change the way match with others. FROGO is a fun mobile Application available on Android and soon on iOS. This application is owned, managed and developed by Telcovision Group LTD the parent company of Strategy Up. ​We believe that Dating and Matching services should not be superficial and should provide a reliable platform for the users where they can find their best match. Over the past 18 years the management team of Strategy Up supported mobile operators across several continents. Our network in the telecom industry is rich and diversified, which gives us a competitive edge which we are extremely proud of. From building the business cases to delivering the solution. We have the know-how and the capabilities to help you generate more revenue, reduce churn and diversify your services portfolio. Live Chat is a digital solution software for your website. 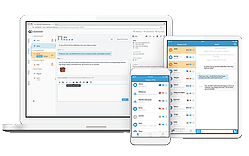 This allows a user to instantly communicate with you if they may have an inquiry regarding your products and/or services. Live Chat digital solution software increases conversions rates (actual sales), customer satisfaction and user engagement on your website. *After signing the agreement and providing us with all the needed information.